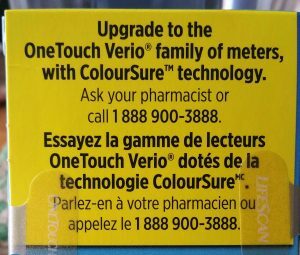 While opening a new package of glucometer test strips today, I noticed the package emblazoned with an advertisement for a new glucometer from the same company. This wasn’t just any kind of advertisement. 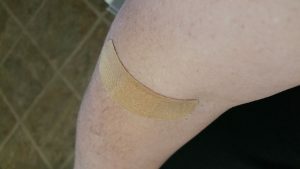 Rather, it was a not-so-subtle hint that the company plans to discontinue their current line of testing supplies in favor of its new line, which means needing a new meter and testing supplies. Some might see this assumption as an overreaction, but the fact is that this is a common practice. The company in question is already systematically discontinuing the meters that use these test strips, and the new meters us different strips. Third party companies make compatible strips, but there is no guarantee they will continue once the product has been discontinued. Further, third party products are not always of the same quality as those from the manufacturer, especially where testing is concerned. I wonder when I come across these kinds of things if the companies that do this realize how expensive this gets for the people who depend on their products to maintain a healthy life. Testing supplies are already expensive enough, but being forced into replacing otherwise working equipment simply because its manufacturer declares it obsolete makes the cost more than some can bear. But then the medical community wonders why so many people are out of compliance. If you’ve ever dealt with them in cases like diabetes, you’d think they think their patients are made of money. I’m fortunate because my current doctor deals with low income patients and so doesn’t think that, but in so many cases they do. Now, I will figure out a way to make this work for me, but that doesn’t change the problem. There has to be a better way for this to work that inflicting more cost onto an already expensive process. If we’re going to reform healthcare, that’s the kind of reform we actually need.